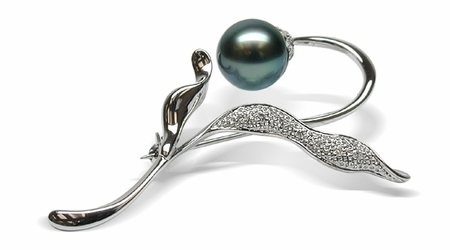 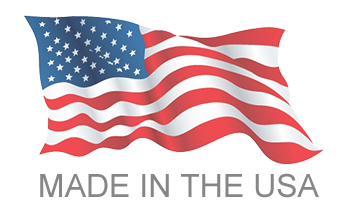 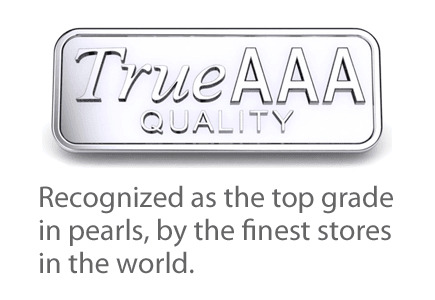 Only the finest pearls, metals and other materials go into American Pearl's cultured pearl brooches, and the quality is evident in every piece we sell. 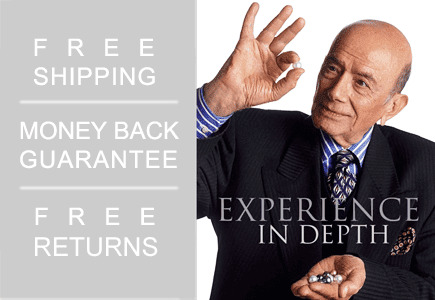 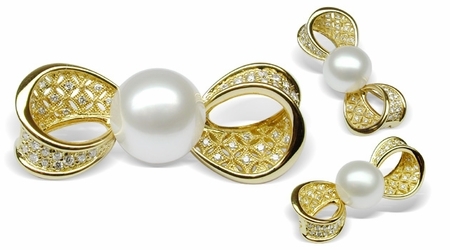 For more than 50 years, American Pearl artisans have designed and handcrafted extremely beautiful pieces from the heart of New York's Diamond District. 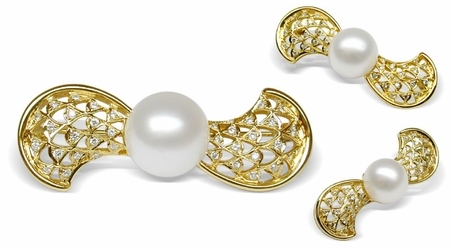 Here, you'll find a genuine pearl brooch that captures whatever sentiment you're going for, whether you're shopping for a lifelong pearl collector or someone who has never seen one in person. 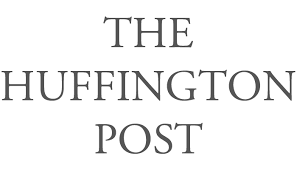 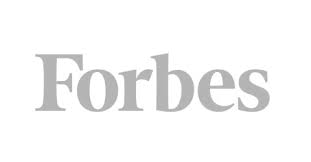 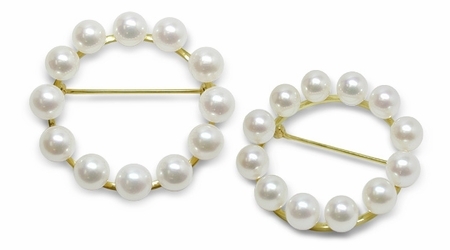 Want to knock it out of the park? 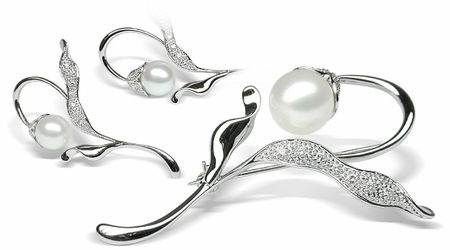 Surprise her with a pearl necklace and a brooch for a unique, hand-paired set she'll adore. 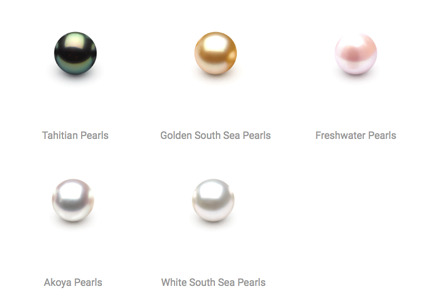 American Pearl's brooches are truly unique thanks to their breathtaking settings that pair the white, green and multicolored pearls with exquisite precious metals and diamonds. 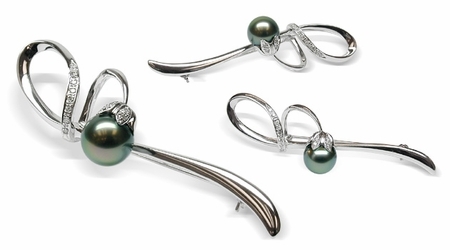 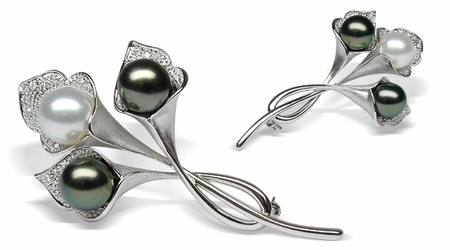 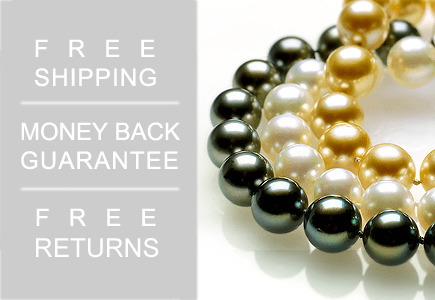 Note that each pearl brooch is handcrafted, so please allow for a seven-day lead time to receive your order.